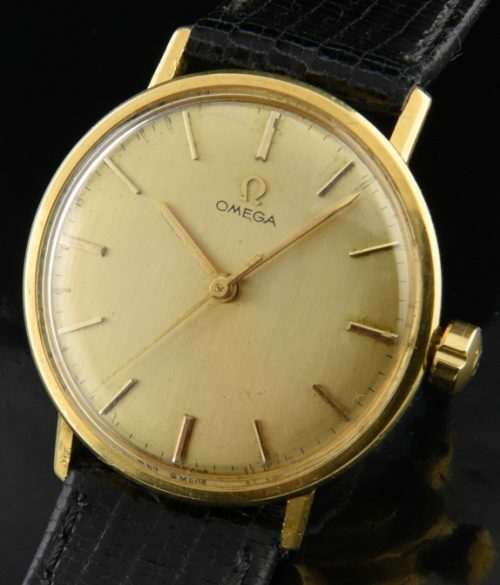 This 1966 OMEGA is solid 18k. gold and very slim and sleek at only 7.25mm. thin. The dial is gold, original; with very gentle ageing that is barely noticeable with the naked eye. The needle hands are also original. The manual winding (fine) caliber 601 gilded movement is accurate after a recent cleaning. 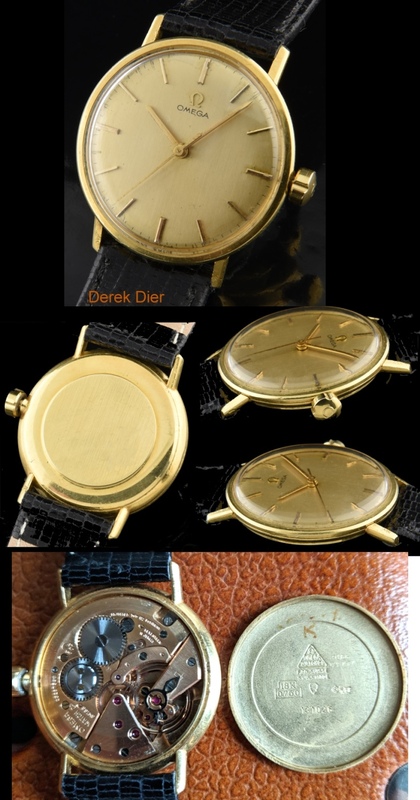 This watch has NOT been polished, retaining the original finish and 18k. hallmark on the lug edge. I love the understated 1960’s sleek appearance this watch offers when viewed on the wrist!